Wicketkeeper-batsman Dinesh Karthik said he remained confident about his selection in India's World Cup squad despite being dropped for the ODIs against Australia, attributing his inclusion to consistent performances over the past two years. Dinesh Karthik said he remained confident about his selection in India’s World Cup squad. 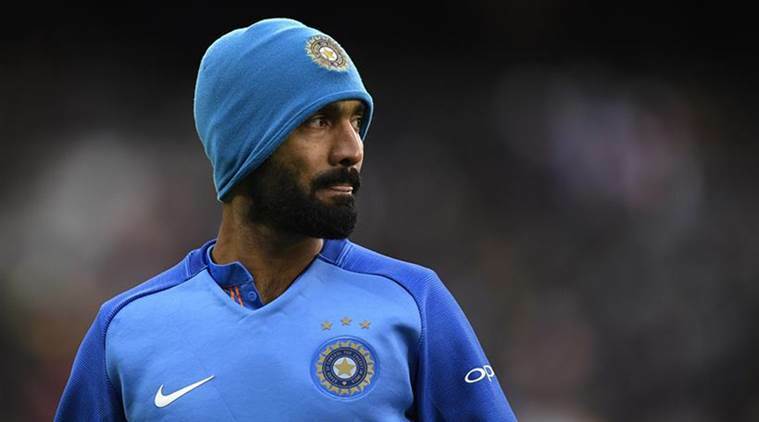 Wicketkeeper-batsman Dinesh Karthik Tuesday said he remained confident about his selection in India’s World Cup squad despite being dropped for the ODIs against Australia, attributing his inclusion to consistent performances over the past two years.